Dogfather is a standard slot with five reels and three rows and with this, the slot is easy to play. Also, having 20 pay lines on a 5x3 slot is rather standard. What's not standard, however, is the absence of standard symbols. No, all animations on this slot have to do with the overall theme. That is, you will come across guns, dogs clad in fancy jewelry, golden fire hydrants, knuckle dusters, etc. This abundance of funny and appropriate animations significantly increases the joy of playing. There also is a wild symbol, which is played by the Dogfather himself. The wild symbol can substitute for any other symbol except the fire hydrant and the flea. Ever heard of the Godfather? Well, Dogfather by Microgaming is its online slot, dog-themed counterpart. 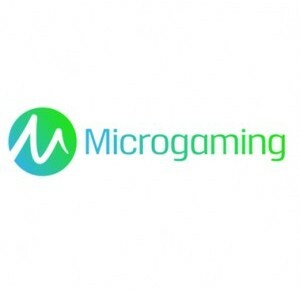 It seems Microgaming has let the creative ideas flow when developing this slot. The slot revolves around the main dog and his guns, perfectly following the main themes of the Godfather. Also, all the bonus games and animations fit the theme, making it a brilliant slot. Namely, it’s hard not to smile whilst playing this game. Dogfather is a standard slot with five reels and three rows and with this, the slot is easy to play. Also, having 20 pay lines on a 5×3 slot is rather standard. What’s not standard, however, is the absence of standard symbols. No, all animations on this slot have to do with the overall theme. That is, you will come across guns, dogs clad in fancy jewelry, golden fire hydrants, knuckle dusters, etc. This abundance of funny and appropriate animations significantly increases the joy of playing. There also is a wild symbol, which is played by the Dogfather himself. The wild symbol can substitute for any other symbol except the fire hydrant and the flea. When playing, you could suddenly win free spins. This happens when Itchy the flea lands on your reels at least three times. It doesn’t matter whether it’s three, four or five fleas as you will aways receive 13 free spins and a 3x multiplier as a result of which wins add up quickly! Spinning for free happens on the same reels as regular spins and you can also win extra free spins. Some extra free spins would be great as that would allow you to play for free with a 3x multiplier even longer. The bonus game on the Dogfather fits the overall theme perfectly and is a cross-over of the Dogfather and the Godfather. Namely, in this bonus game, you have to claim your territory. First, you’re gonna need at least three fire hydrants. Now, you only have to make the right decisions and make the most of it. And don’t worry too much, as it is almost impossible to not win during this bonus game. The only real risk you’re taking is winning the maximum potential win. Dogfather has a total of 20 pay lines and you get to decide how many of them are active. You can do this at the bottom of the slot. Also, you can alter the number of coins per pay lines. This, you do alongside the playing grid by clicking on your preferred number of coins. Another way to alter your total wager is by altering the coin value, which you can do at the bottom of the slot. Dogfather also has an autoplay function which you can use if you want to just sit back and relax. However, do bear in mind that this autoplay function does not automatically turn itself off once you reach free spins. So, make sure to keep an eye on your screen if you want to keep track of where your wins come from.